There are only a few true SEO companies in New Orleans. Most of what you see if you Google “SEO New Orleans” is Digital Marketing and traditional advertising agencies – that also may have SEO on the menu. Many Digital Marketing Companies focus on global marketing packages – of which SEO in New Orleans is only a piece of the overall project. That is not always a terrible thing. But if you have very competitive keywords, you will find that many of these types of advertising agencies will subcontract the Search Engine Optimization aspect of the project to a true New Orleans SEO company. Many of today’s modern marketing techniques have become somewhat commodities. We don’t mean that in a disparaging way – but creating of a Facebook ad or Google Pay Per Click ad can be done by just about anyone who has a couple years experience and has some talent in graphic design. That graphic designer would use their talents across many advertising verticals. At the end of the day, Google Adwords, Facebook Advertising, Yelp Advertising and the such need a good designer and some experience in each advertising platform. Anyone that is pretty good at their job would create ads that ultimately perform somewhat similar. What it boils down to is that although still outside of the realm of a business owner, those types of Digital Marketing have become somewhat commoditized. SEO on the other hand is a very specific skill set. The reason that many marketing companies white label or subcontract the SEO aspect of their full digital marketing campaign is because Search Engine Optimization is a very specialized business. 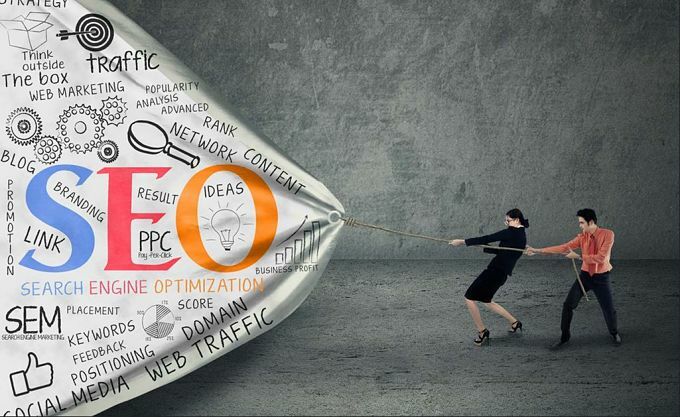 SEO specialists are generally not that great at building a website or making things very pretty — what they are good at is having a depth of knowledge in the ever-changing avenue of SEO. 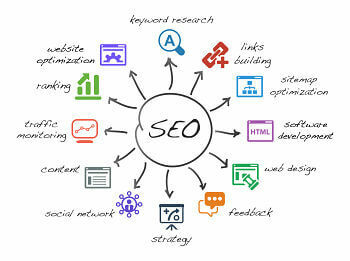 Many business owners are under the impression that when they have a custom website built, that “SEO can be included”. It is just simply expected by most laymen that if they spend thousands of dollars on a custom built, beautiful website – that it will naturally “rank on Google”. Truth is – website development and SEO are VERY different skill-sets. There is NO SEO button that can be pressed when building a website. Although some of the better web designers may go as far as to put meta titles, meta descriptions on the pages – that is about the extent of what they will do from an SEO aspect. In reality, from the website build perspective, there is quite a bit that can be done to assist with ranking the site. Here are some of the things that could be done when a website is being designed, that will substantially assist the SEO professional. It really shouldn’t be expected to be done by the web designer, but having the web designer work with an SEO expert will give the best results and save a ton of time in getting the website to rank for the SERPS that matter. Silo The Site – Siloing the website is using keyword research to create an SEO friendly site structure. This is a perfect example of why you should t expect a website designer to implement SEO — they wouldn’t even have a proper keyword research tool! 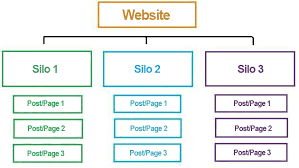 Here is a visual example of basic siloing of a website. Once the keyword research is done, the URL structure of the website should be built using the strongest keywords closer to the root domain. Each set of keywords create a silo – in which blog posts can be created and fall in line with the URL structure. Headers – Some of the most basic of on-page SEO is looking over each page on the site and having a well thought out, strategic layout of H1, H2 and H3 headers. Although not as important as it once was – headers still assist with ranking a page. Internal Links – This is a big one. One of the major aspects of ranking a website is how Google will crawl the site. Siloing provides a straight forward layout in which Google can understand the differences between each keyword, but the real power comes from utilizing internal linking between the Silod pages and blog posts. If you look at the graphic above, you should have links run (once again leveraging your keyword research) from the main domain, to the top of the silo page, to secondary silo’d pages to the blog posts. 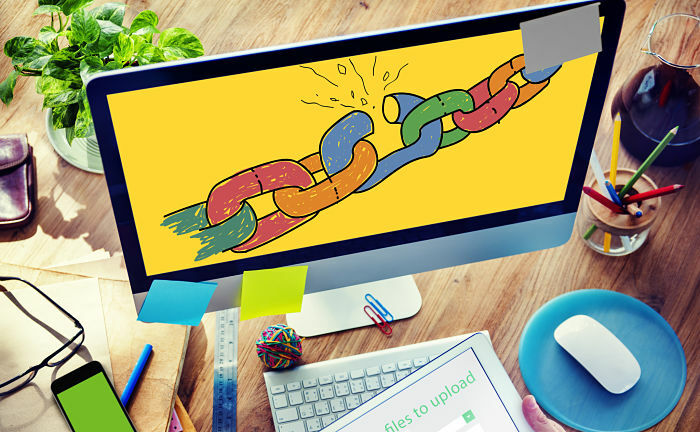 Each link should be using specific anchor text (once again leveraging your keyword research) . At the end of the day its important that if you are rolling out a new website, a digital marketing campaign or an SEO project – you should make sure that you are hiring the right person for each phase. Don’t take it for granted that your website designer has any real concept of Search Engine Marketing. Search Engine Optimization is not a one-time thing. Its not a button pressed or some work that gets completed on a specific day. It is an ongoing process of adjusting to the Google Algorithm updates, Content Marketing, Link Building, Social Media Syndication, On-Page SEO and more,. 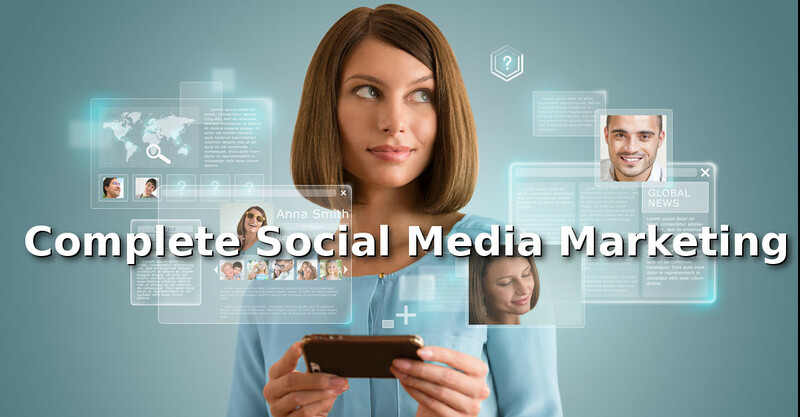 Being able to follow what is trending for your target market audience is one of the most powerful tools that social media has given to business owners and marketing professionals. Trending topics give you insight into what is important to your audience and allows you to create interesting and relevant content and then share that content with a targeted, personalized audience. Digital Marketers used to pick up on trending topics from a daily newspaper or magazine, watching the news or listening to the radio. Now with instant information and millions of communication channels literally at our fingertips finding that information is much more challenging. However, with technology there is always a way and our social media giants have found ways to keep us up to date with the latest social media trends. Monitoring your audience and what they are talking about and sharing with their friends is an important part of any good marketing program. Savvy marketers and community managers will join trending conversations and add to the conversation to generate more social media traffic to their website, blogs, pages and products. With so much going on it is important to weigh in on the conversations as they happen, and before they move onto other forms of media. Twitter is fast moving and has up-to-the-minute content. It has become a standard platform to break major news stories and not so major stories. To find trending stories on Twitter without an account you can access Moments: a curated list of the most important stories of the day, with a description and a list of s elected Tweets that goes along with the story. It is generally the top stories of the day. For more personalized trends you will need a twitter account. Personalized trends can be found on the left-hand side of the page. The default shows a selection of trends based on your location and who you follow. You can change locations to see what is trending in other areas by changing it at the top of the trends section. This is very useful for spotting specific trends and targeting local markets. 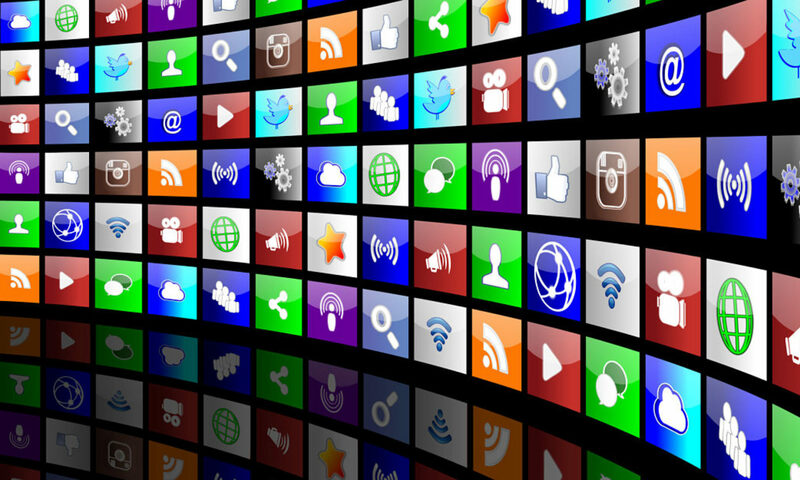 Facebook has become a big player in sharing news and following trending conversations. The content you see on the right-hand side of your News Feed is a tailored Trending section and what you see depends on your personal likes, who you follow, your activity on Facebook and other sites and all the rest of the data Facebook knows about you. The stories include top conversations of the day regarding politics, science and tech, sports, and entertainment and general top trending trivia. YouTube features trending videos, accessed in the menu on the left of the homepage. If you head to the bottom of the page, you can change your location to see what’s trending around the world. Marketing specialists should be checking these sites daily and commenting with relevant and timely information, and weighing in on conversations that are important to your social media audience. Social media and social media marketing is no longer for your teenage daughter or to share cute kitten faces. Today social media is a powerful tool that if used correctly will increase the visibility of your brand and will increase your profit margin. Just about a half-hour’s drive south of Dallas/Fort Worth sits a River and Lake City like no other in Central Texas. With many riverfront real estate properties and lakefront homes for sale, ranging from affordable to downright luxuriously expensive, Granbury is a popular city for people to live who want the convenience and luxury of waterfront living, but yet remain close enough to the Metroplex as is reasonable. Here are four of the top communities with homes for sale in Granbury Texas. 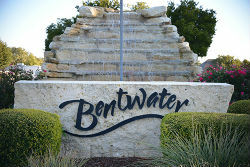 Up from the banks of Lake Granbury is the renowned neighborhood of Bentwater. As a lakefront community, Bentwater gets its name from the steep curve in the Brazos River. Surrounding hills offers fantastic view property opportunities. Vacant land sites start at 1 acre and go up from there. IF you like forest, fishing, nature, and access to the great outdoors, make sure Bentwater is on your list of communities to check out. A nice feature not included with every home is a boat slip at the community Marina that is actually included in the deed to your property. That means you don’t need waterfront property to have direct lake access! The Marina is a great place to spend recreational time down at the boat docks. It offers an outdoor picnic area, sports activities, and, always important, full restrooms. If you also enjoy horses, there are 5 acre horse properties available, just another feature that makes this real Texas living! Considered “exclusive” by many of Granbury’s residents, Catalina Bay is most embraced for its convenience to everything that makes Granbury special. Also, both communities on Lake Granbury, Catalina Bay and The Island provide some of the most diverse homes in Granbury. Ranging from lakefront homes, homes on canals, and not to mention, some of the finest and newest waterfront homes built in Granbury, Catalina Bay and The Island are both great choices for those seeking the best in life. While both communities are gated and private, they are both different. 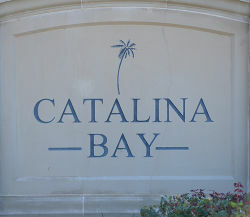 Homes in Catalina Bay are more of a Mediterranean or California style, including stucco and/or stone exteriors with concrete or clay tile roofing. Very modern and beautiful. Neighboring Catalina Bay is The Island. Again, with a gated entrance, The Island is an amazing place to live as well. Both communities are just a golf cart’s drive away from the Harbor Lakes Golf Course and Country Club, and close to dining, shopping, and the water. Catalina Bay and The Island communities are a must see! 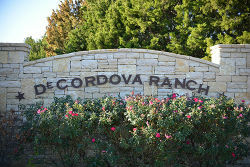 One of my personal favorites, DeCordova Ranch is a wonderful place to buy a home. A little more towards the direction of Fort Worth, DeCordova Ranch is a stone’s throw away from dining and shopping. The designer of the master-planned community intentionally left a large number of original trees in the area when clearing out the lots. It gives DeCordova Ranch a feel like no other place. It offers large lots, hiking trails, and a neighborhood park, and some lots are surprisingly affordable. You can buy or build your next home here. If you’re interested in living in a natural setting, DeCordova Ranch might just be the place for you. Strictly for the luxurious, the gated community of Grand Harbor, similar to DeCordova Ranch, sit on the eastern side of Granbury TX, and is a little closer to Fort Worth. 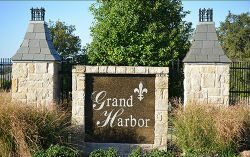 Most lots in Grand Harbor are an acre or more, and many homes are custom built. Some lots go up to four or five acres, with prices in the low $300’s, all the way up to the millions. With amazing panoramic views of Lake Granbury, Grand Harbor is a premier community where luxury truly resides. This classic Mediterranean custom home sits alone on a serene peninsula in the middle of a beautiful winding lake in Sugar Land, Texas. 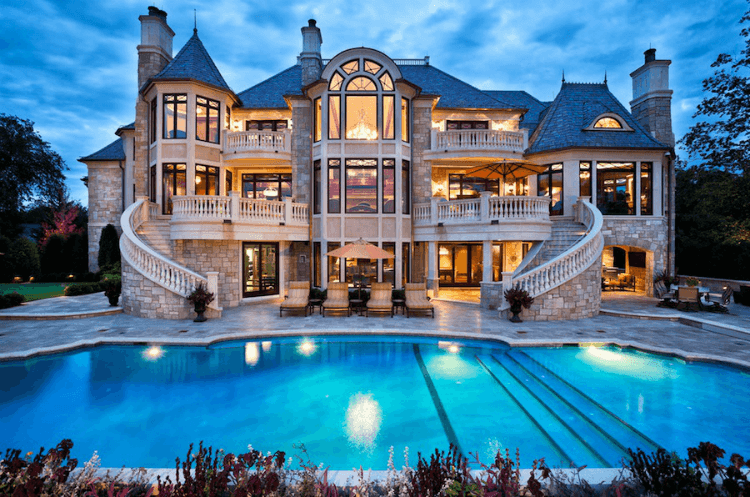 “The setting for this home is truly one-of-a-kind,” says Sims Luxury Builders president, Chris Sims. Promoting on social networking web-sites, these kinds of as Facebook, is one particular of the hottest developments between companies and net entrepreneurs nowadays. With in excess of sixty two million subscribers from all about the earth, Facebook is regarded to be a gold mine among internet entrepreneurs and for businesses that would like to collect extra likely clients. Compared with other social networking internet sites, Fb delivers a exceptional characteristic that will allow you efficiently current market in the internet. This attribute is the information feed aspect. Depending on what your privacy settings is, you will be capable to broadcast or announce whichever it is you want to announce by way of the news feed aspect made available by Facebook. Though there are some individuals who does not want this element in Fb, this specific attribute does enable in permitting men and women know what their buddies are up to. From an internet marketer’s look at, you will see that the information feed element provided in Fb will provide as a terrific way to boost a merchandise or services you are offering. This will enabl your community to know what you are giving as nicely as allow your groups know. So, below are some recommendations that you should really remember in get to know how to harness the news feed attribute to marketplace a specific product or company. By remembering these following guidelines, you will be able to enable people today view it and in convert, allow some others in their community sign up for in. The to start with factor that you will need to do is build a profile. People in Facebook can’t include everyone in their community if the human being they want to increase doesn’t have a profile and vice versa. This is the initial thing that you have to have to do. Also, you might want to complete your profile site to its fullest in order to enable men and women viewing it consider fascination. The following tip is by trying to host an event and publish it in the information feed. This will get people in your network fascinated and if your celebration is well worth the time, they will even inform other folks in their network to join in the entertaining. This is a terrific way to promote a merchandise or company. Thirdly, you may well want to share a funny movie or picture to your community of pals in Fb. This will aid in endorsing your profile web page and you will have a great deal of qualified readers that will eventually look at your profile page as properly as the contents you posted in it, these as the merchandise or solutions you provide. Publishing news content articles is also a great way to get people’s consideration in Facebook. This will deliver specific visitors. For case in point, if you are providing sports apparels, you could possibly want to article the latest information in athletics. If you are looking at unique ways to sell your home, this can be very helpful. This will produce specific targeted visitors that will most probable be fascinated in what you are marketing. Submitting feedback on other people’s profile webpage in Facebook is also a wonderful way to lengthen your community of pals and profile viewers. These are the things that you have to have to don’t forget about Facebook advertising and marketing. By following these tips, you can be guaranteed that you will be ready to create site visitors in your Facebook profile page and increase your community. By these tips, you will be equipped to have a lot more possible clients going to your Fb profile website page and know about what you have to provide. SEO in the city of New Orleans is a little behind. New Orleans has historically been behind on adopting technology for business, and that case stands true in the realm of New Orleans SEO. A perfect example that New Orleans is behind the times when referring to technology to grow your business is the fact that the local paper, The Times Picayune was one of the few papers owned by a super huge media company, that was still making money. That means that advertisers were still seeing advantages from advertising in the newspaper. Which also leads you to believe that there are still a massive amount of print readers in the Greater New Orleans area. 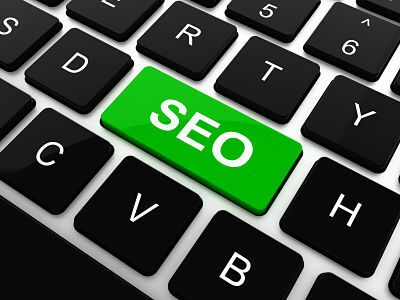 SEO is the art of having your website come up when someone searches a key search term that is relevant for your page. All over the world, SEO gurus have the ability to charge quite a bit of money for their services because the internet has become such a powerful marketing tool. When it comes to New Orleans Search Engine Optimization, there have even been some SEO Gurus that have proven how easy it is to rank a site by running to the top of the rankings for searches such as SEO New Orleans. With the lack of the SEO Companies in the Greater New Orleans area, at least SEO Companies that are good enough to rank on page one of Google for the #1 search term, you would think that people in New Orleans dont even use the internet. I come to a different conclusion. I believe that business owners use outside SEO Companies that are outside of the Greater New Orleans area to get ranked for the SERPS that they need to rank their business. I do also believe that business owners in the New Orleans area tend to rely on more traditional advertising as opposed to modern Digital Marketing. This may be in part that many of the larger businesses in the south are owned by older individuals. In many instances, older individuals may not see the value in Digital Marketing as much as the younger generation only because they themselves dont use the internet to find businesees. With the huge influx of younger professionals, especially those in the technology fields, that have flocked to New Orleans since Hurricane Katrina, the more savvy business owner will need to look at a full range of Digital Marketing options to give their new business the edge it needs for success. Younger business owners are not spending one red cent with companies like the Yellow Pages, but do take advantage of companies that can rank their business on popular search engines like Google or Bing or even the citation style business directories such as Yelp. I see this as a tremendous opportunity for quality SEO companies to make a lot of money in the upcoming future for New Orleans. Digital Marketing such as SEO, SEM (Search Engine Marketing) Local SEO and Social Media Advertising are the ways of the future and will be how the new successful businesses are grown. With SEO outperforming PPC in the long run, the rise of Search Engine Optimization is inevitable. The new and upcoming businesses that embrace the new styles of marketing will appeal to the younger crowd and become “hip” and ultimately successful. This leaves a lot of room for an Digital Marketing Ninja to grow their business as well. I see quite a bit of changes coming down the pipe soon. Exactly What Is a SEO Site Audit? An SEO Audit is the process of reviewing your website to insure that it will perform well in search results. Any good SEO audit will review the website against the “best practices” as defined by the major search engines and give you a list of what is good on your site and give recommendations on changes that you can make to improve your viability on the web. In addition, it is a good review on exactly how people and the search engines see your site. What are your keywords? What does your title and description say? How does your result look when found by the Google and Bing? What Should I Expect From a SEO Website Audit? Your Title, Description and Meta Tags – Are They Worded Properly? Images Analysis – Does Your Images Have Proper Tags? Does Your Site Have Proper Headers? What Are They? How Often Should I Run an SEO Audit? With Google and the other search engines making changes to their algorithm on a regular basis, its important to check your website every 6 months or so. What worked last year for SEO may get you “blacklisted” this year. Especially if you are using “Black Hat” or “Grey Hat” SEO techniques. Should You Contact a SEO Guru if the Audit is Not Good? If you have plans on having your site rank well in search engine results and you don’t have the technical acumen or the time to correct anything that the audit finds, I would strongly recommend contacting a professional. 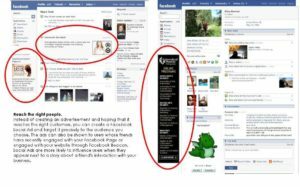 Ever Wondered How After Visiting A Site You Later See A FB Ad? 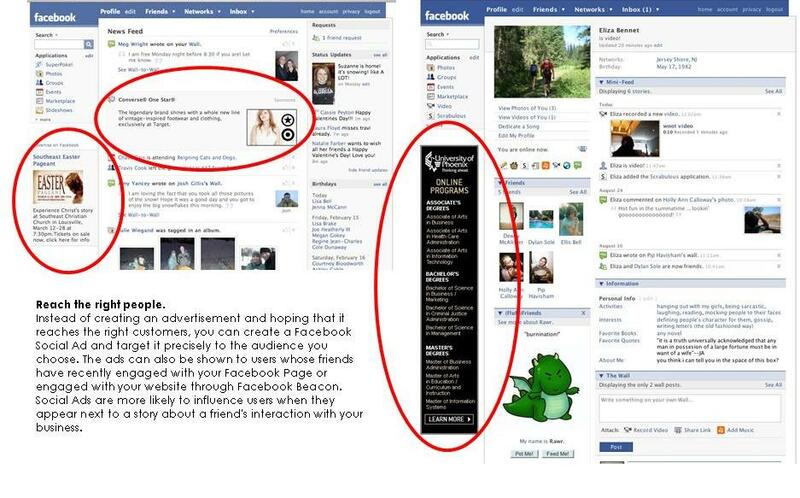 Have you ever wondered how after you visit a website, you later see advertisements for that product/service on Facebook? This form of advertising falls perfectly into why Facebook advertising can be so powerful. The entire social media advertising ecosystem is based upon “Targeting Your Audience” for your Facebook Ad. There is no better “Audience” than someone who has already shown an interest in your product/service by visiting your website. 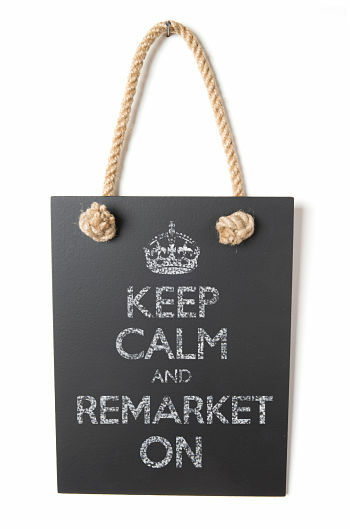 The ability to target an audience that has already visited your website is called Remarketing. It not very new, but Facebook has really brought it front and center. At the end of the day, it is extremely effective since it shows your ad to already interested customers. A very good analogy for this style of advertising is “You wouldn’t ask someone to marry you on the first date would you?” By that they mean… a visit to your website is where the relationship starts. You then “court” that person by showing them additional ads and building your brand and message. When they come back, you have a much better chance of converting them to a sale/customer. 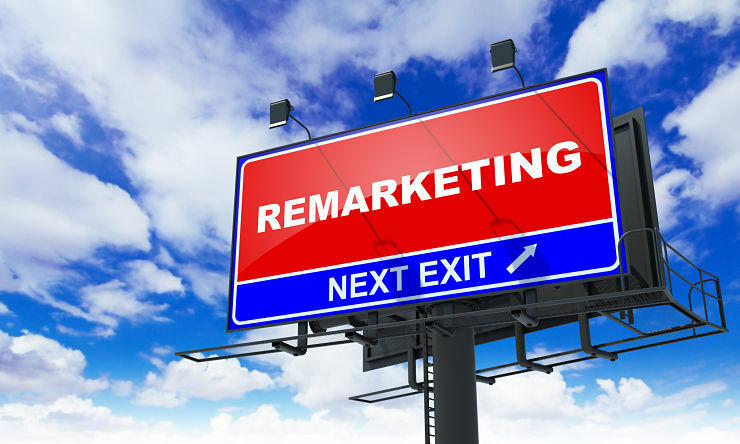 Remarketing can be done in a variety of ways. One of the most common is after a website visit, but you can use an existing mailing list or past clients or a variety of other sources. 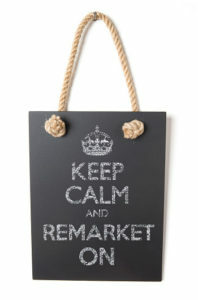 What you are really doing when you utilize Remarketing is you are creating a Custom Audience on Facebook. This Custom Audience is exactly who will see your targeted advertisement. If you want to create a Custom Audience of people that have visited your website here are the steps. 1. Create a Custom Audience in Facebook Ad Manager. This will create a piece of code that you can place on your website. You have a variety of options here. You can put one code (for one audience) only on certain landing pages or put the same code on every page of your site. This really depends on where/how you get your website traffic. As stated above, you may choose to place different Custom Audience Pixels on certain pages—this will let you Remarket to different groups of people. For instance, if you sell Real Estate and pay Google to drive traffic to your site, you may have a Buyer and a Seller campaign. Each campaign would have ads either targeting a buyer or a seller. The buyer ad may say, “search all listings here” where the seller campaign may say “get your homes current value”. With different Pixel Codes, you could then have a Seller Ad and an Buyer ad on Facebook — that displays only to the correct group (Buyers or Sellers). Once you create your Custom Audience and place the code on your website — you will wan to name each Custom Audience in Facebook. This gives you the ability to run different ads depending on the specific audience you have created. Keep in mind, Facebook advertising is designed to be displayed to relatively large groups, so your site must get a decent amount of traffic to create a large enough audience to advertise to. This is the fun part. This is were you can get creative and think of a unique ad that will have interest to your specific audience. Remember, this group of people have already visited your site. For that, they have already shown some level of interest, so you can get more specific with your Remarketing Ad. You didn’t ask for this, but I’m giving it to you anyway. Since Facebook has thousands of data points on its users, they can look at one of your audiences and find correlations between everyone in that audience. For instance, if everyone in your “Webpage Custom Audience” is a homeowner that makes over $70,000, has children, donates to charity and lives in a specific zip code—-Facebook will create another audience with the same details! That gives you the ability to scale your audience larger than only people that has visited your site—but the same “type” of people! If you find all of this intriguing and have already come up with super cool ideas on how to utilize Remarketing — but think that attempting all those steps would be your own personal type of hell….We can help. DEAN Knows specializes in all forms of Digital Marketing including Facebook Advertising and Re-marketing. 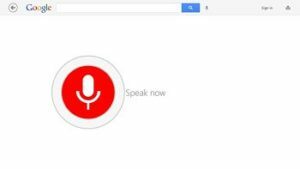 Google Makes Massive Changes – Does It Affect You? On Tuesday April 21st Google unleashed what could be a massive disruption for a large portion of the world wide web. The good news is everyone knew that it was coming and most website owners have made the needed adjustments. Although the roll-out started Tuesday, it can take up to ten days for everything to go into full effect. Is your site ready? The change now seriously demotes your website if you are not mobile friendly. With the massive amount of internet traffic taking place on mobile devices, Google has now proclaimed if your site doesn’t display properly on mobile devices, you will get a serious ding in your search results. Google made the announcement last fall that this was coming, so everyone could make the needed adjustments. For many, that meant a total redesign of their website. Some have chosen to create a “M dot” site which displays an abbreviated version of their website on a sub-domain if you are on mobile. Some people estimate that over half of all internet traffic is now on mobile devices and Google feels that if your site doesn’t react well to over half of the world, you don’t deserve to rank well. I cant really blame them on that. We have seeing rankings slowly decrease on sites that are not mobile friendly for years, but for more organic reasons. For instance, Google looks at how relevant your site is to a particular search query by analyzing bounce rate, time on site, pages per session and so forth. Those “quality metrics” for sites not mobile friendly have decreased. They have decreased naturally because when people visit those sites on mobile devices, they leave sooner. When Google sees the decrease in those “quality metrics” they don’t give you as much credibility for that search query. “It’s important to keep in mind that the changes are limited to mobile search”, said Jaffe Digital Strategist Melanie Trudeau. “However, the effect on small and mid-sized sites still could be profound”. According to Trudeau, websites that aren’t mobile ready can expect zero traffic from smartphones and tablets. The first thing you need to do is check your site for what Google calls “mobile friendly”. They have set up a page that will test your site and let you know if it passes muster. If you already know that your site is not mobile friendly, or you fail the test, you need to correct that quick fast and in a hurry! I personally recommend a two step approach. Step one is to quickly generate an “M dot” version of your site on a sub-domain. This can be done relatively easily and with relatively low cost. This will keep you from disappearing all together but I really don’t recommend that for long term. Step two is to redesign the site to be responsive. That means that your site will adjust to different screen sizes. It will reformat itself to layout correctly. A good responsive site will have multiple layouts — for desktop, tablet viewing and for smaller phones. This takes time to design but is what you will ultimately want. If you pay someone to currently maintain your site, truthfully the FIRST thing you should do is FIRE that person for letting this happen! If you have found yourself without a mobile friendly website, we can help. We can quickly get you with a mobile site to hopefully avoid the ding and do the redesign as a fully responsive site. Creating a Facebook Ad is not brain surgery. It does take a little technical skill and a understanding of basic marketing practices. If you find yourself in a position to not have the time or desire to create your own ad—or simply want to hire a professional to get the best results…you are in luck! 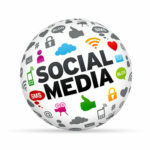 DEAN Knows Social Media creates Facebook Ads for all types of businesses at very affordable prices. We also provide SEO and SEM services, Reputation Monitoring and even post on all of your social media networks for you with industry specific posts. For more information on what we can do for you, visit our main site at www.DEANknowsSocialMedia.com or Contact Us directly.